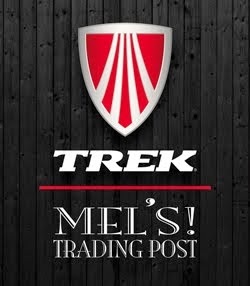 TRI Mommy TRI: New Sponsor: Trek/Mel's Trading Post! It is an honor this season to be racing for Trek/Mel’s Trading Post of Rhinelander. 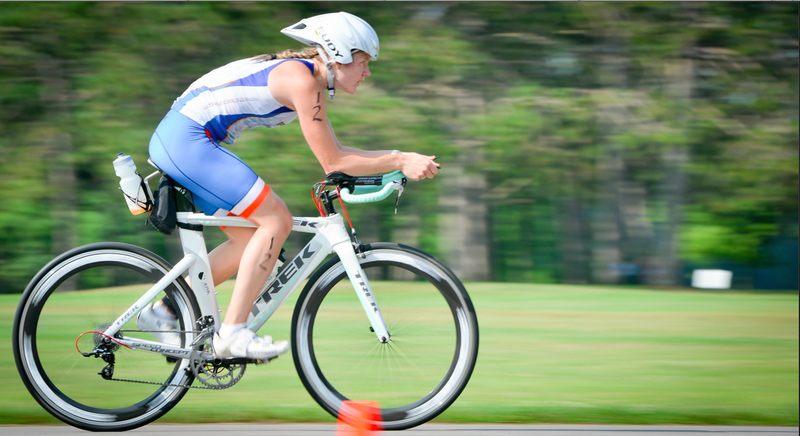 My first triathlon was in 2010, and I borrowed a road bike from a friend (after “training” on my one-speed Huffy). Hooked, I looked to get my own bike, but figured that with such a huge expense of tri bikes, I would get a road bike (not much difference anyway, right?). Andy did a lot of bike shop visits on his own and then told me that a smart move would be to get a tri bike from the get-go. We went with the Trek Store of Wausau and got the entry-level tri bike Speed Concept 2.5 wsd – aluminum frame (carbon was at least $600 more). 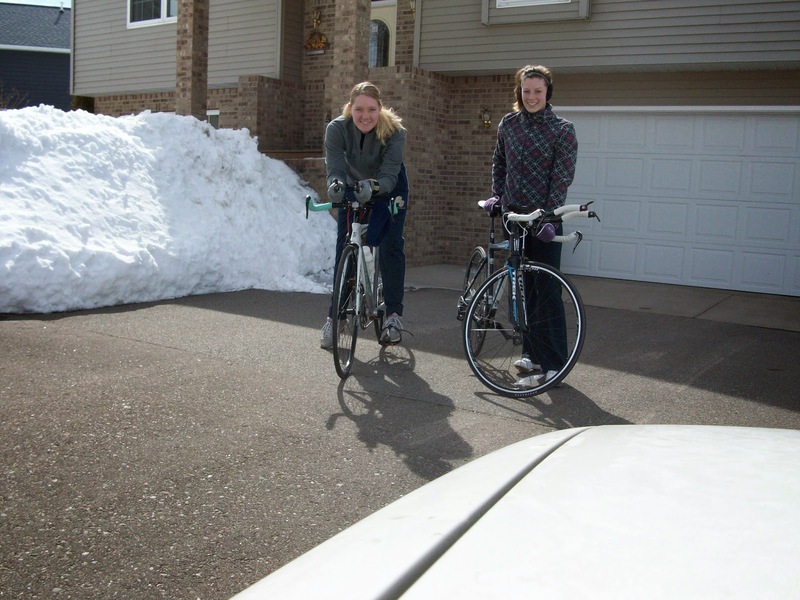 I got it in March, and Katherine (my bestie and race buddy who also just got a similar bike) and I took our new bikes to the roads while there were still piles of snow on the ground. I loved it – a marvelous machine, with so many ways to adjust it to your personal fit. I was ecstatic, with a smile plastered on my face for possibly the entire duration of the ride! I was giddy, delighted. First ride on our new bikes! Four years later, I’m still riding that 2011 Speed Concept, and we’ve had quite the journey together – replaced some parts and upgraded others. I learned how to change tubes and tires. September of 2012, I also crashed on it, and my body fared worse than the bike, though both of us still left with superficial scars to remember it by. We raced sprint distances, moved up to Olympic and had longer rides together. I discovered new routes and saw areas of the countryside that I otherwise would have never traversed. Our longest ride in preparation for my first half-iron distance race was over 76 miles. It’s taken me from placing in my age group, to winning a few races, and competing against elites. I LOVE the Trek Speed Concept. Last year when Andy and I were down in Madison, we also took a tour of the Trek Factory – so sweet! We learned about the history of their bikes, athletes, and company. We saw frames being made as we toured, and even custom Project Ones being painted. We even got to see the incredible workout facility they have their employees, which of course have trainers set up for them to bring their bikes in and ride, and they have group classes as well as many other extraordinary things available for their employees. So jealous. When I moved to Rhinelander and first visited Mel’s Trading Post, I immediately noticed that while they carried road and mountain bikes, there was not a single time trial bike to be found in the store. While at first I was a bit apprehensive about the level of service I would get on my specialty bike (tri bikes are more complicated due to the aero design and set-up), I was repeatedly impressed with the level of knowledge and expertise the mechanics had. While this shop didn’t carry any tri bikes, everyone seemed to not only be familiar with them, but had stories of different ones they had assembled or serviced at previous jobs. They’ve kept my bike working smoothly for training and competition, and have always been super friendly and go above and beyond to give their customers the best service. Representing one of the FASTEST line of bikes out there is an amazing opportunity. I am proud to be riding Trek and that I get to represent our local retailer, Mel’s Trading Post, as well. This past year, my strongest leg was the bike, and I look forward to becoming even faster with time and continued hard work. Ride fast. Ride Trek!